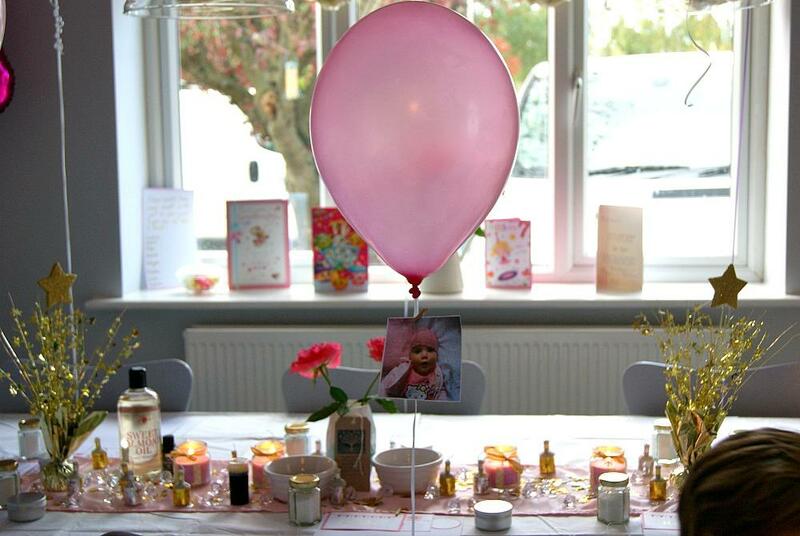 So as you saw in my recent post Sophia had a lovely Spa Party for her 7th Birthday. We did this at home and it was a huge hit with all her friends. I have to say I also had such a great time. A few months before when discussing what it was she wanted to do for her birthday she immediately knew she wanted a Spa Party. In her mind I think she just wanted to paint nails and do hair and be girly. She is a true girly girl at heart and has always been that way. Looking online a lot of the Spa parties seemed to be for older girls. But I think it was very easy to do it for 6-7 year olds. We had a lovely time doing some really fun things but all age appropriate. 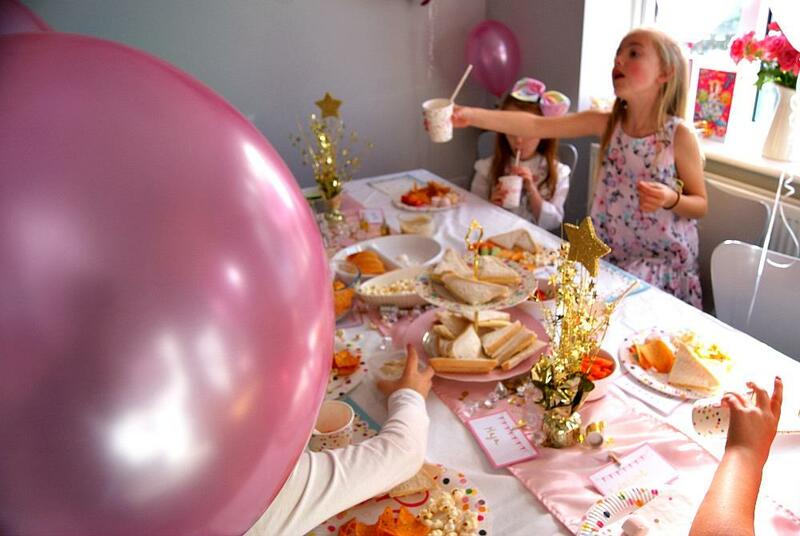 That was the party plan for Sophia’s 7th Birthday and it all went quite well to time and we fitted everything in within the two hours. 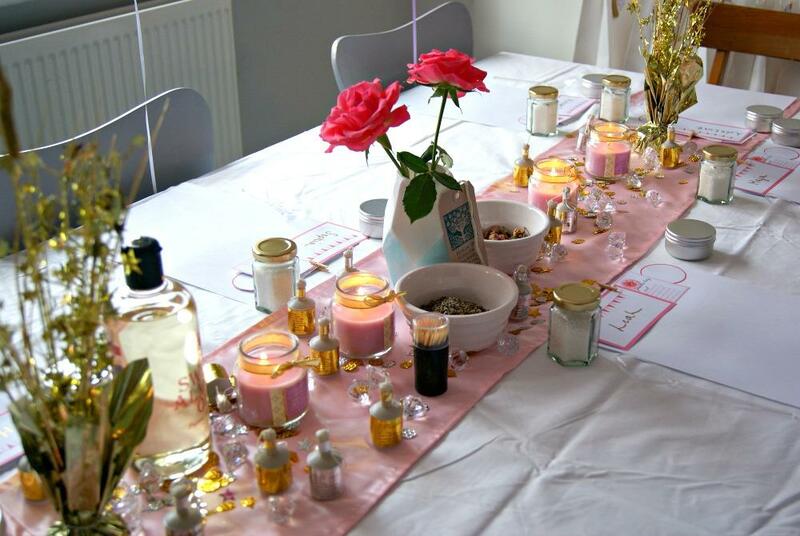 I set the table up ready to start the bath salts and lipgloss making first, which we started as soon as Sophia’s friends arrived. 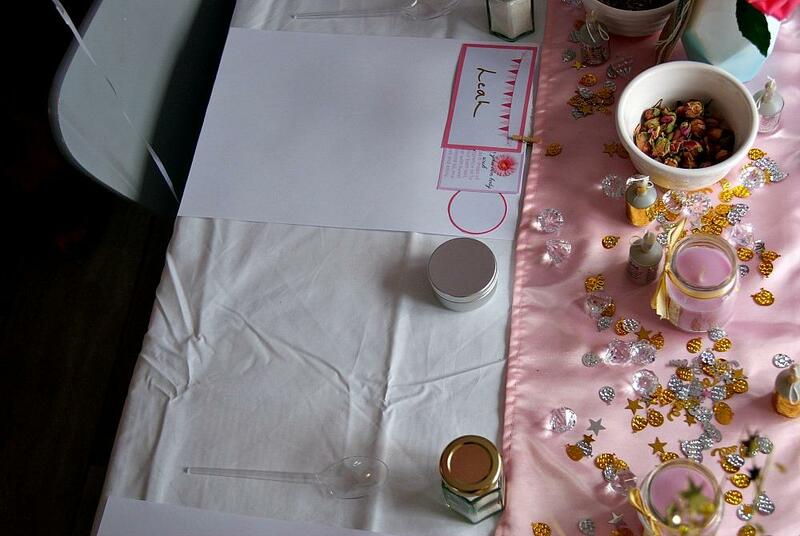 We used the table a lot throughout the party, for games, activities, eating food, and glitter tattoos. So it was going to be the centre of the party and how it looked was very important to me. I did purchase all the decorations from Poundland in my local town centre. I really do love Poundland because you can make such a fantastic table centres with all the decorations available. I purchased everything from the candles on the table to the diamonds and confetti there. 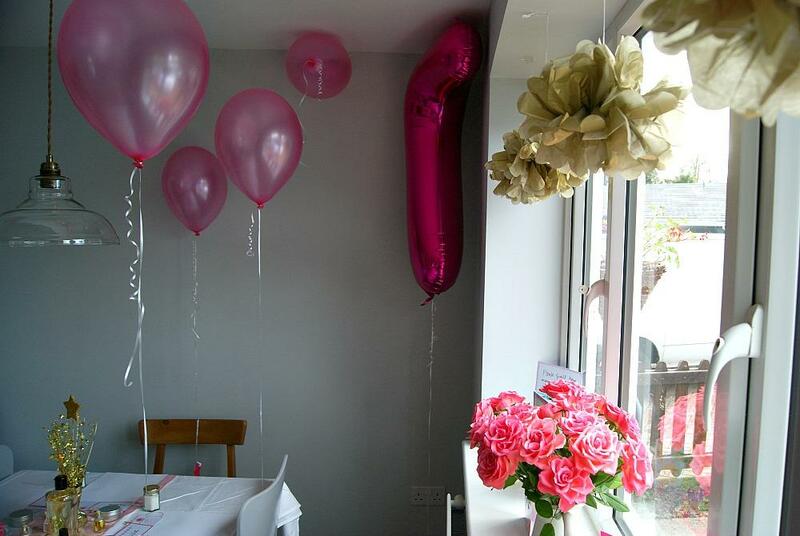 I then went ahead and ordered a dozen pink helium balloons from card factory I got an idea from my friends recent hen do where she had used cute little pegs to attach photos of the bride and groom to be onto the balloon string so I printed off some photos of Sophia growing up and pegged them to the string on the balloons. I really loved this idea and I think all her friends loved looking at the pictures of her when she was tiny. With lots of questions: “Was this you Sophia when you were a baby” It was a lovely conversation starter for all the girls. 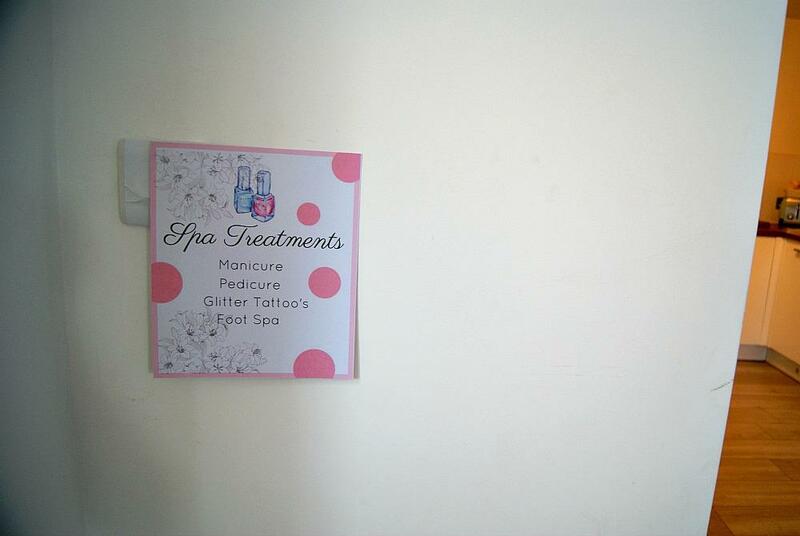 I made some recipes for the bath salts, labels for the lip balm and a treatment plan, as well as a welcome sign and name tags for the party, all which I made on PicMonkey. My most favourite editing site. 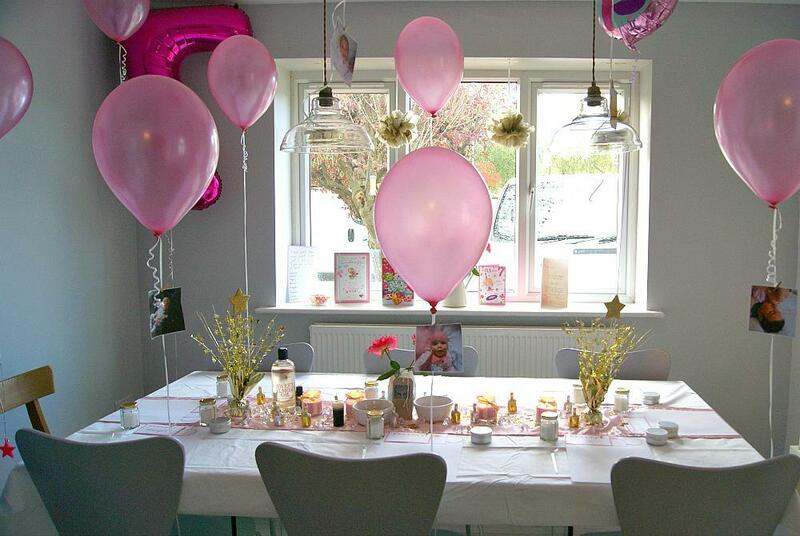 It was really nice to be able to design all the bits myself and make sure they all matched and were all pink and matching the theme of the party. When the girls arrived they all sat at their seats with their name tags. Everything was set up for them to start making their lip balms and their bath salts. They firstly got started on making their labels for both. I picked up some crafting stickers and adhesive diamonds for them to decorate their labels. Mix all together with a toothpick or small spoon and its all done, very easy and simple tp put together. My lovely friend who is a herbalist and who I see kindly recommend some dried herbs for us to put into our bath salts. 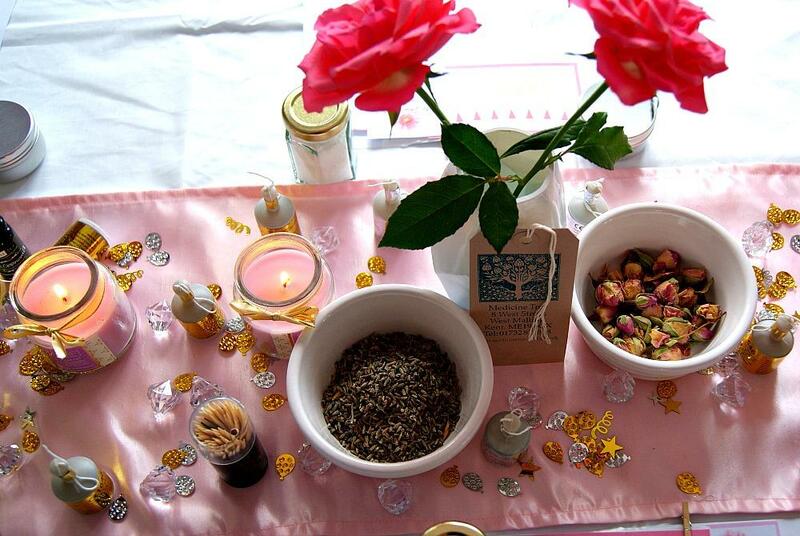 I purchased rose buds and lavender and the girls choose which they wanted to add to their bath salts. Pop these ingredients into a big microwavable jar or bowl and microwave until you able to pour it into the individual ip balm jars you have purchased. Once the mixture has been poured into the individual lip balm posts pop in the freezer for one hour to set, and then they are done. Also really simple and easy to make. The girls all loved their lip balms. I even made one for myself! 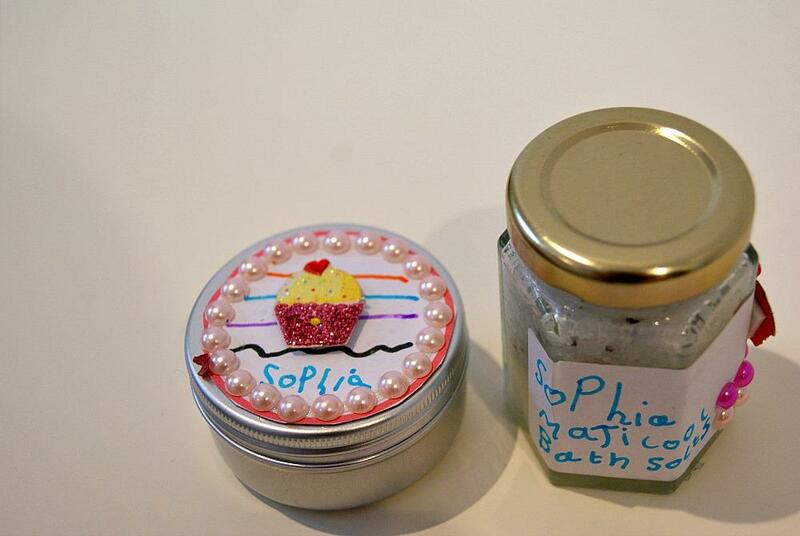 These were the finished product and each of Sophia’s friends took home their own lip balm and bath salt to use. We then went into the living room and painted all the girls nails and toe nails. They each chose a nail polish they liked and then were able to sit down and stick on nail art tattoos which I purchased from amazon. The nail art stickers were a huge hit with the girls and they loved picking which ones to add to there freshly painted nails. They were also really easy to use and to peel and pop on their little nails. Some did break but they were about £1 for 15 sheets so I cant complain about a few breaking while trying to peel them. 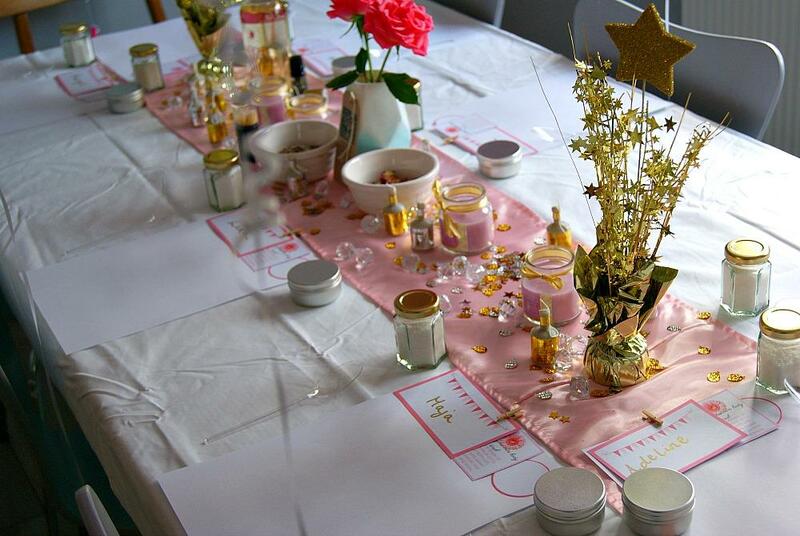 While we were doing that with the girls the table was cleared and set up for Spa Bingo. The girls loved this game and I actually purchased it from Etsy for £4.97 a very good price, because if you wanted you could laminate the sheets and keep for future use. It saved me spending hours making different Bingo sheets! We then went to the living room and played musical statues while the table was cleared ready for the girls lunch to be served. Once lunch was finished they had a little bit of free time, which didn’t last long while we cleared the table and called them all back in to sing happy birthday to the birthday girl. That was really special. I always love lighting the cake and bringing it in. It was lovely to see Sophia’s face light up. Once the cake was done it was time for the glitter tattoos. Sophia had been looking forward to it all day! All the girls loved it and as we were doing it ourselves some even had 3 each. They were a firm favourite with all the girls I think. 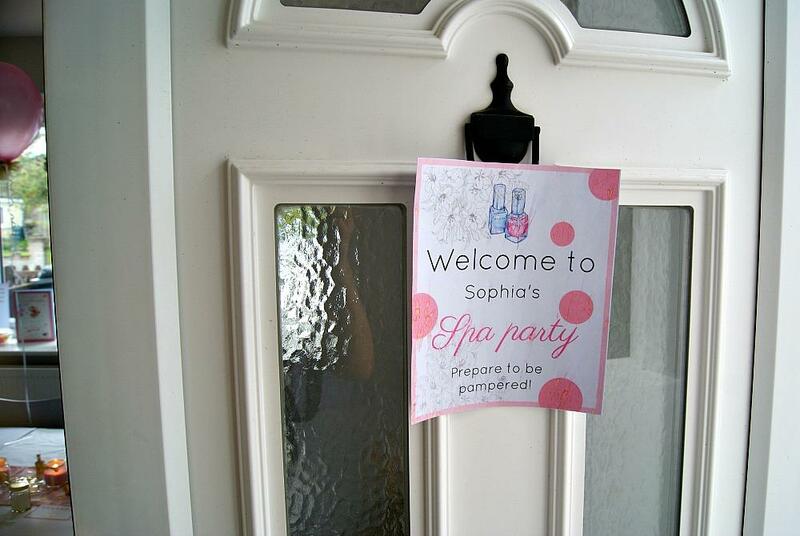 And that was it that was Sophia’s 7th Birthday Spa party. 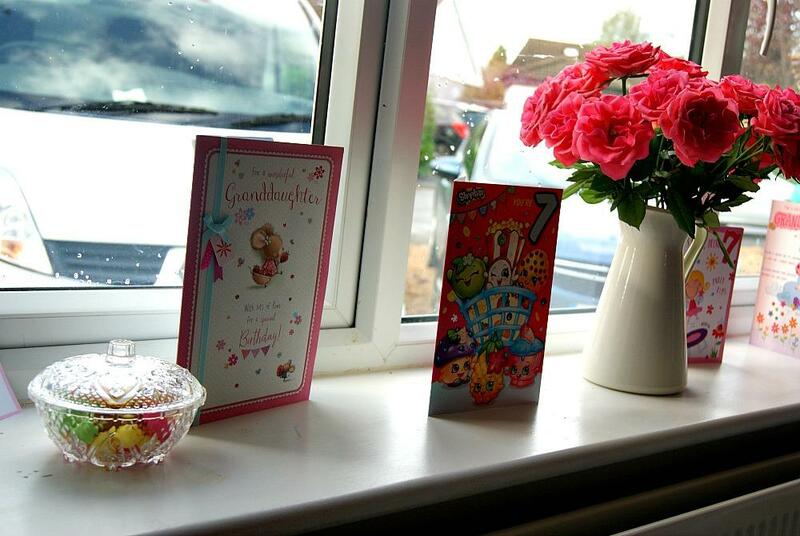 We all had such a lovely day and enjoyed ourselves. 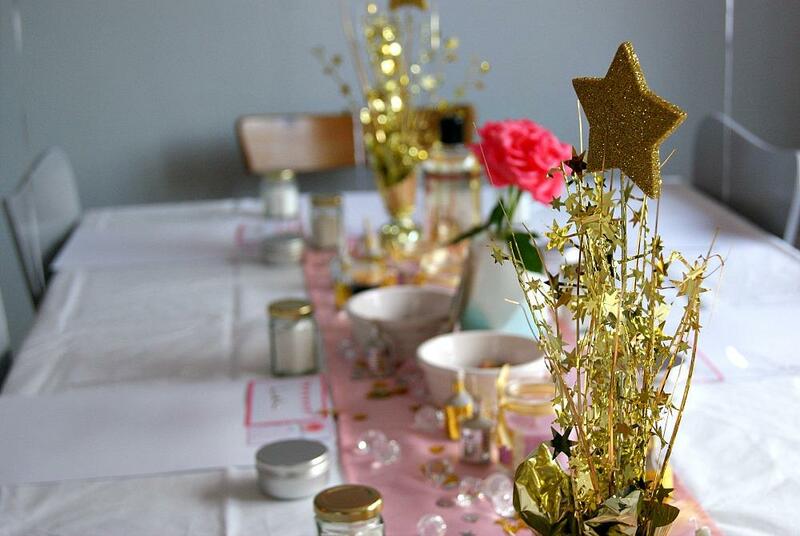 I hope you enjoyed this post and if you are planning on doing a Spa Party for your little one I hope this makes it look a lot easier then you initially thought. I thought it would be a really difficult task but with lots of planning and a schedule of what we would do on the day made it stress free and easy. 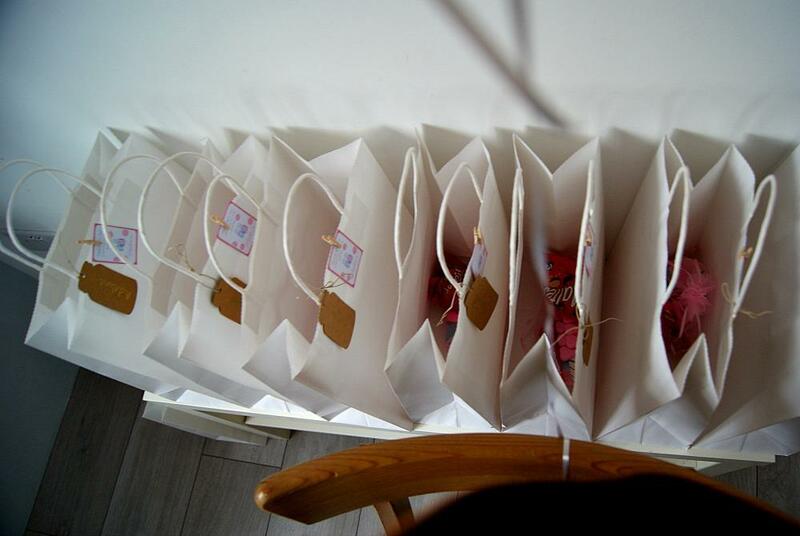 These were the little party bags I did for the girls. I made these little signs for the party. I did them on Picmonkey. 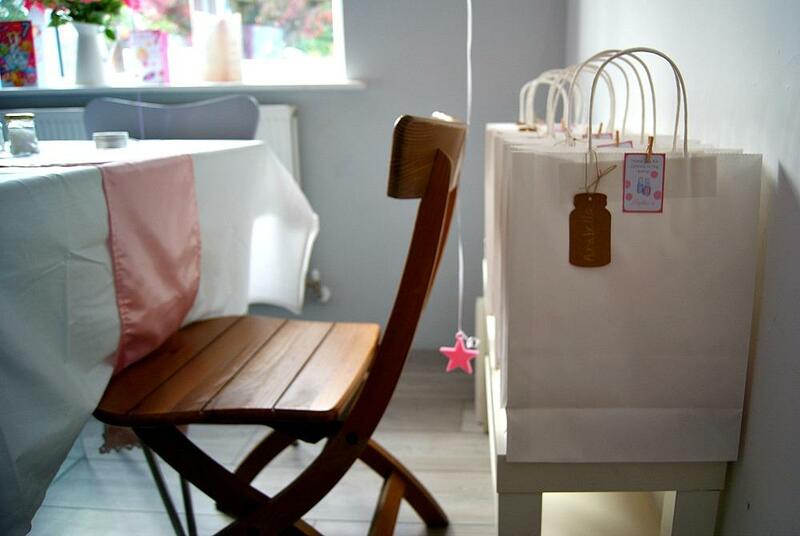 Let me know if you are planning a Spa Party with your little one? Ah that is just perfect! I’m sure little and big girls would all love this. I would do this too, looks so much fun! Beautiful! 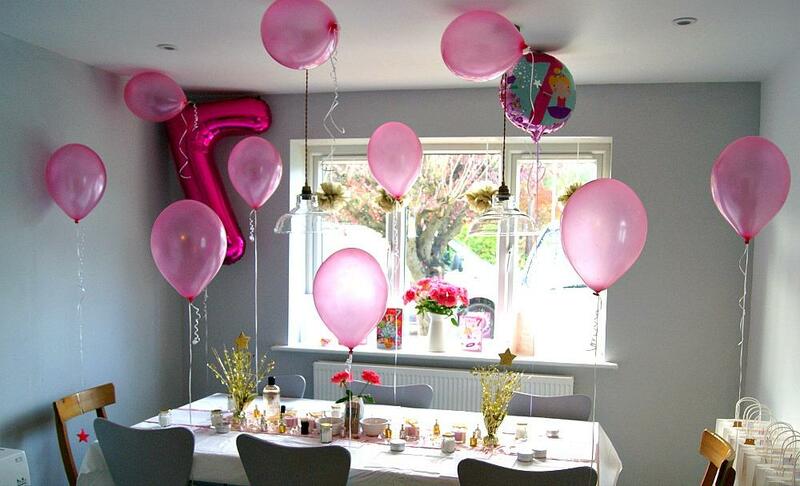 I did a similar thing for my daughter’s birthday a couple of years ago and it was lovely. The table looks absolutely gorgeous! The Poundland decorations are gorgeous! That is brilliant. The girls must have been made up. I love Poundland too, you can get very nice stuff there. Such a cute idea and your decor is stunning. 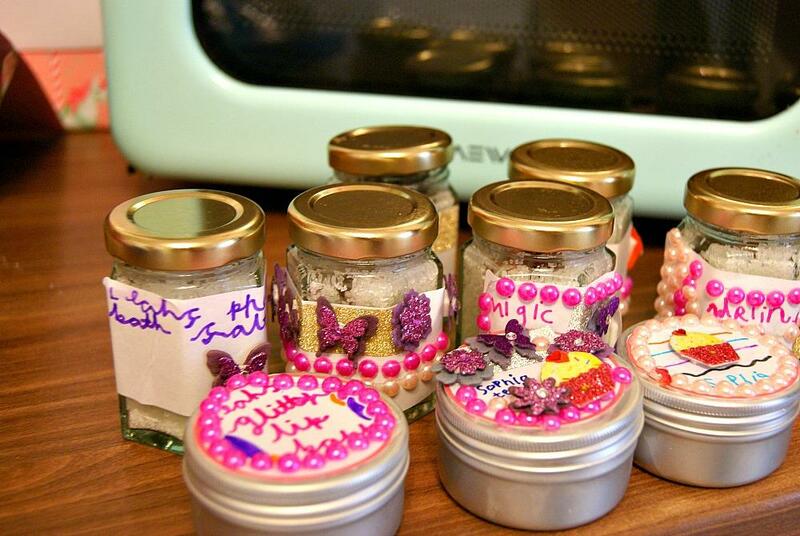 I love these ideas especially the bath bath salts and lip balms. This is such a fab idea, I know a lot of girls who would like this…including me!